You must have completed a Basic Mediation Training course prior to enrollment in this course. $50 Discount when you register 30 days early. Workshops are generally held at the Fulcrum Institute Dispute Resolution Clinic office. We will gladly come to your organization and structure our courses to meet your needs, time, and schedule. We only require a minimum of four (4) participants. Special arrangements can be made for all workshops to be conducted at your business location. The growing popularity of mediation as a means to resolve divorce and child custody disputes reflects the success of this problem-solving approach. 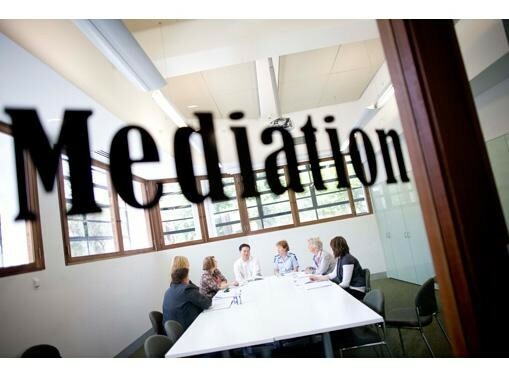 Mediation helps establish the basis for sound family decision making even with the high levels of emotion and despair so often present during the divorce process. Through simulated mediation exercises, demonstrations by the instructors, conflict analysis exercises, strategy design sessions, and lectures, this seminar presents the critical procedures and skills needed by an effective mediator. Seminar participants find this training helps prepare them to work as family mediators and provides them with a significant professional and personal growth experience. What you will learn: Introduction to negotiation and problem-solving skills. Structuring the mediation process. Communicating effectively as a mediator. Reframing, conflict analysis, and mediation strategy design. Handling legal aspects of divorce and custody issues. Addressing parenting, property and financial issues. Dealing with deadlocks and psychological issues in mediation. Does your work involve families dealing with the transition of divorce? This seminar is designed for attorneys, therapists, counselors, and other professionals who are interested in expanding their practice into the area of family mediation. Join us for an insightful seminar and learn innovative problem solving skills to provide a more solid foundation for these families. Attendance in this course is predicated on the student having completed a basic mediation training course prior to attending. The Fulcrum Institute Dispute Resolution Clinic reserves the right to cancel a training course based on enrollment.